Fast and user friendly workflow between Adobe Premiere Pro and After Effects. Learn how to use Dynamic Link and render and replace. In the old days switching video clips between Premiere Pro and After Effects was very time consuming and unpractical. You had to render and export your edit from one application to import them in the other one. But if you then wanted to change something, like a new effect or some color correcting, you had the repeat the whole process of rendering and importing again. This can slow down your workflow and eventually consume your disk space with all the rendered versions of your project. But now we live in a modern age where time is important, so Adobe created the dynamic link to make our editing lives easier. This link makes it possible to share media files between the adobe software. That’s right, the dynamic link doesn’t only work for Premiere pro and After Effects. It also works between almost all of the Adobe software. For example you want to animate a Photoshop file in After Effects and midway your project you decide there are to many faults in the original file. This doesn’t mean you have to start all over again. You just do your changes in Photoshop and After Effects will automatically update the file. The dynamic link makes every media file compatible with each other and let’s software communicate in a fluent way. For example you can have an Adobe audition project, while you are creating your DJ logo in illustrator. Which you then can animate in After Effects and eventually combine it all in your music video that your are editing in Premiere Pro. 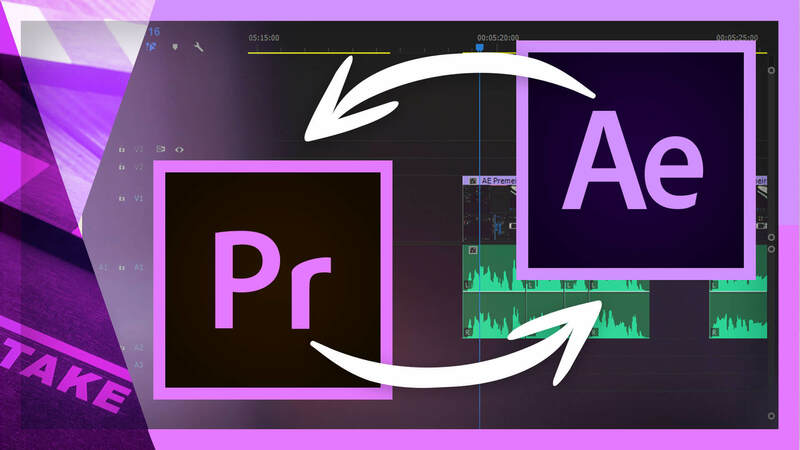 The dynamic link makes it possible to just drag and drop your media files in the different projects and switch without ease between the Adobe Software. There are limitations with the dynamic link, for example it can slow down your real time viewing in Premiere Pro or After Effects. This is because your create a complex source composition which requires extra processing time. But there are tricks to reduce playback delays which we also explain in this tutorial.